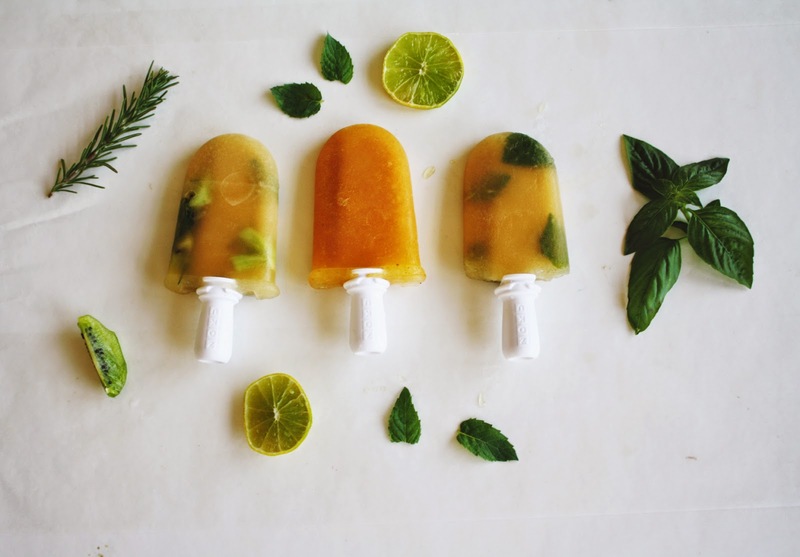 As we kiss summer goodbye and welcome all the beauty of autumn, why not take a last tasty bite out of this season by trying these three frozen limeade ice lollies? This first recipe is like a little trip to California, where you can eat sweet fruits with chilli pepper and lemon. This passion fruit, spicy limeade ice lolly is a beautiful mix of sweet and citrus with a lingering taste of cayenne pepper. 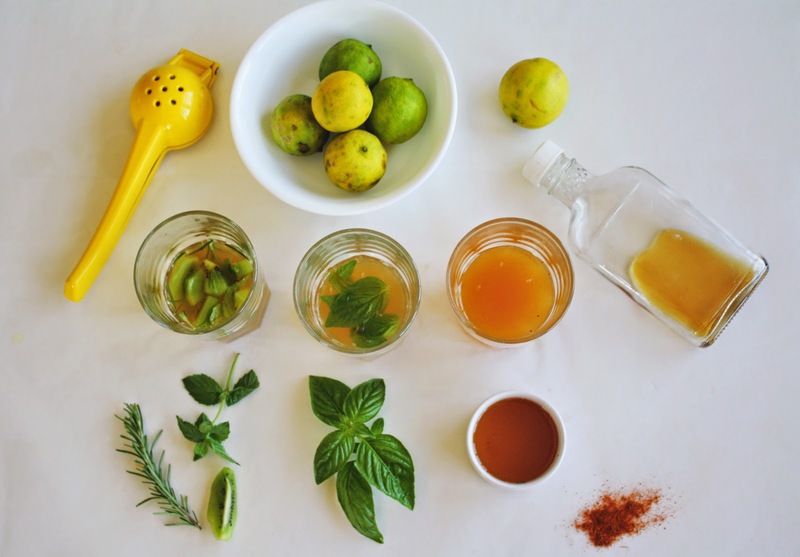 The second one is not your regular limeade, although it is refreshing like a typical limeade it has a twist of basil. The herb adds extra tastiness and makes it… let’s just say unforgettable. *You can drain the basil leaves out before freezing it but we like to leave them in. Last, but certainly not least, is this sweet, herbal and fruity ice lolly This one is so full of flavour! The cool, fresh mint, earthy sweetness of the rosemary and the subtle tangy-ness of the kiwi makes it our favourite! When you are making these, keep in mind that your juice should always be a little more sweet than the limeade you normally drink, because when it freezes, the taste changes a bit. We hope you try it and let your palette go on one last refreshing journey this summer! You can find her blogging over at Nuance andBubbles Blog, taking daily snaps on Instagram, Tweeting away or pinning inspiration here.